For a review about Uku Kuut’s album “Vision Of Estonia” (2012), please click here. The sounds of the seven-inch are going right under the skin and it might be easily vintage funk and soul, rooted in American cities like New York or Chicago. 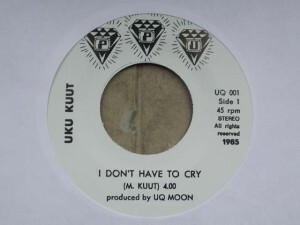 But Peoples Potential Unlimited (PPU), a label from Washington DC, has found an hidden gem produced in Sweden by two exiled Estonians in 1984, Uku Kuut* [oo-cooh cooth] and his mother, in 1984. The title track, “I Don’t Have To Cry”, is cozy synthesizer funk with smooth vocals and slight vocoder. Even more I like jazzy funk instrumental “Vision Of Estonia” on the B-side that has a cool and composed Nordic feel, with homesickness of people starting a new life abroad. Uku was born in 1966 in Estonia, that time part of the Soviet bloc, and emigrated with mother Marju to Sweden and later to the US, to pursue their search for real soul music. Marju was a well-known singer before leaving the country and in the beginning of the nineties she and Uku returned to Estonia. 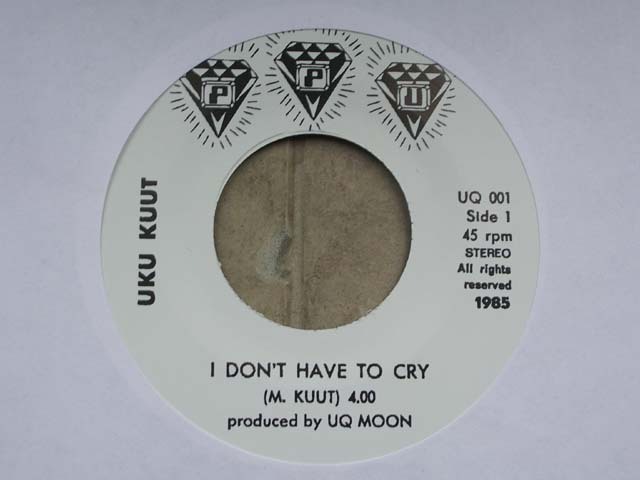 Uku tells the story behind the record in his blog. Great idea by Andrew Morgan of PPU to share these excellent tracks. I believe it will be a revelation not only to Estonians, how already in mid-80s US-minded funk was done by the Kuut family. Hope there will be UQ 002 and even more. * [Update, September 2017] Uku Kuut passed away on September 22, 2017 after suffering ALS (Amyotrophic Lateral Sclerosis) for several years.